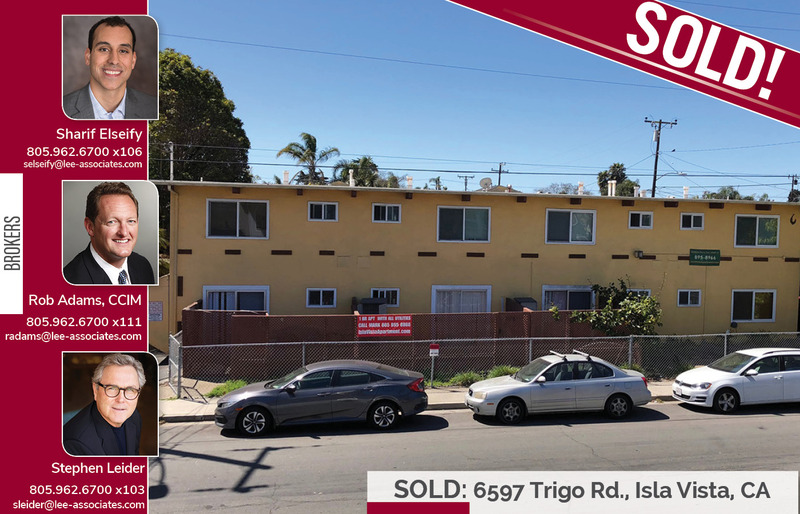 Santa Barbara Calif. – Aug. 27, 2018 – Lee & Associates has completed a sale of a 10 unit Multifamily Building located at 6597 Trigo Road in Isla Vista which was listed at $3, 000,000. The property was sold to a local investor. Sharif Elseify, Rob Adams and Steve Leider with the Santa Barbara office represented the seller.